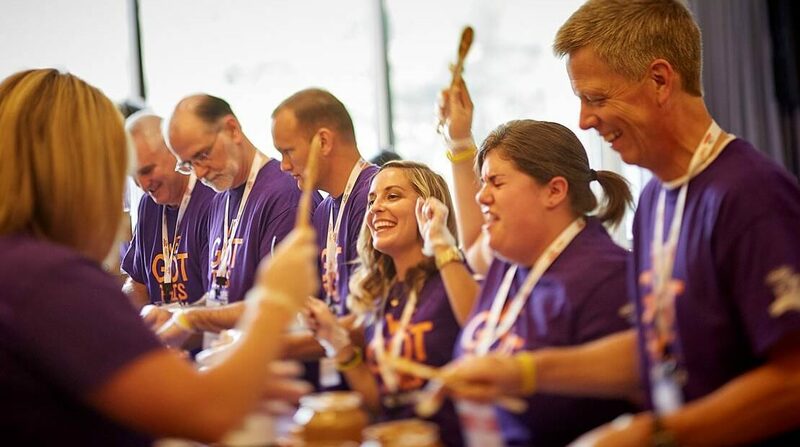 The Hormel Foods foodservice sales team partnered with Which Wich® Superior Sandwiches for a Project PB&J® Spreading Party during their national sales meeting. The team of 200 employees was able to make 10,010 PB&J sandwiches in an hour, surpassing their goal of 9,000. The sandwiches, made with SKIPPY®peanut butter, were donated to local charities to help those in need.